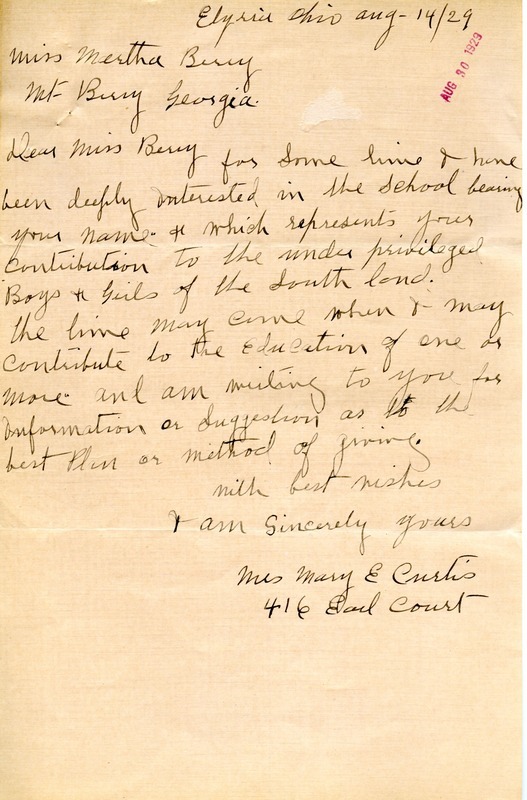 Mrs. Mary E. Curtis expresses her interest in contributing to the education of several students and asks for more information about how to do so..
Mrs. Mary E. Curtis, “Letter to Martha Berry from Mary E. Curtis.” Martha Berry Digital Archive. Eds. Schlitz, Stephanie A., et al. Mount Berry: Berry College, 2012. accessed April 19, 2019, https://mbda.berry.edu/items/show/9880.